Why you should have your own radon test performed when buying a home. The first test was “good” or below the EPA action level, the second well above. If you are buying a home it makes good sense to test for radon before closing. Most often radon testing is a part of the home inspection clause in the purchase contract. 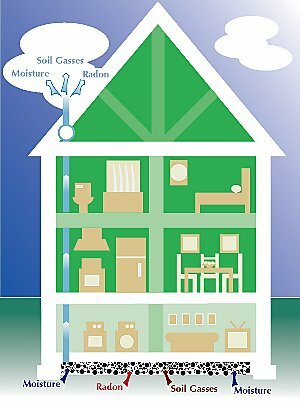 The AARST (The American Association of Radon Scientists and Technologist) recommends testing for radon prior to every transfer of a residential dwelling to a new owner. 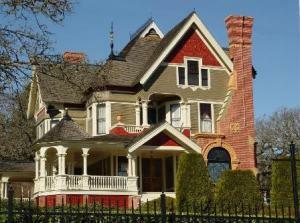 Even if a home has been tested before, the new owner may use the dwelling differently. This is very good advice. Even when a home has been previously tested and the results disclosed, the accuracy of the results can not be assured. There may have been procedural errors with regard to EPA testing guidelines, thus rendering the results invalid. The Connecticut Radon Program publishes a list of Nationally certified and State trained and qualified radon testing providers. It is their advice and ours to be sure your radon test is conducted by an individual who is on this list. The EPA radon testing protocols state; If a testing professional conducts the test, only EPA-listed or State-listed individuals should be hired. Also if the home has a private well testing the water for radon at the same time is strongly recommended. Testing the air only does not indicate the level of radon in the water. Many times a home has an elevated radon level in the water and the air test is below the EPA advised mitigation levels. Radon is a tasteless, colorless and odorless gas that is a decay product of uranium and occurs naturally in soil and rock. Radon gas has been identified as the second leading cause of lung cancer, second only to cigarette smoking, and it is estimated to be responsible for 15,000 deaths annually. Radon breaks down into components called radon progeny, sometimes called “radon daughters,” which emit high-energy alpha particles. These emissions raise the risk of lung cancer. The main source of high-level radon pollution in buildings is surrounding uranium-containing soil such as granite, shale, phosphate and pitchblende. Radon enters a home through cracks in walls, basement floors, foundations and other openings. It may also contaminate the water supply, especially in private wells. Over a person’s lifetime, particulate radon progeny can enter the lungs, attach themselves, and may eventually lead to lung cancer. Radon is believed to cause between 15,000 and 21,000 U.S. deaths from lung cancer annually. A level of four picocuries per liter (pCi/L) of air has been identified by the U.S. Environmental Protection Agency as the level at which remedial action should be taken. Radon has been identified in every state. An estimated 6% (one in 15) of homes in the United States are estimated to have elevated levels of radon. The estimated average in Connecticut is 8% (one in 12 homes). Smokers exposed to radon substantially increase their risk of lung cancer in comparison to exposed non-smokers. It is possible for one home to have elevated levels of radon while a neighboring home does not. Testing is the only way to determine levels of radon in a structure. Testing can be done through do-it-yourself home test kits or through a professional testing firm. Home test kits labeled “meets EPA requirements” should be used. Both long-term and short-term tests can be done. Short-term tests remain in the home for two to 90 days, depending on the device. “Charcoal canisters,” “alpha track,” “electret ion chamber,” “continuous monitors,” and “charcoal liquid scintillation” detectors are the most common short-term testing devices. Long-term tests remain in the home for more than 90 days. “Alpha track” and “electret” detectors are commonly used for this type of testing. A long-term test gives a more accurate annual average radon level than a short-term test, because radon levels vary day to day and season to season. Radon levels can be lowered through a variety of repairs, from sealing cracks in floors and walls to changing the flow of air into the building. Sub-slab depressurization uses pipes and fans to remove radon gas from beneath the concrete floor and foundation before it can enter the building. Radon is vented above the roof, where it safely disperses. Soil depressurization is used to ventilate the soil surrounding the home so that radon is drawn away before it can enter the structure. Repairs to decrease radon levels should be made by an EPA or state-certified contractor. FACT: Reliable testing devices are available from qualified radon testers and companies. Reliable testing devices are also available by phone or mail-order, and can be purchased in hardware stores and other retail outlets. Call your state radon office for help in identifying radon testing companies. FACT: Although radon gets into some homes through water, it is important to first test the air in the home for radon. (Inspectors note: This statement is against the advice of the Connecticut Department of Public Health Radon Program. An air test does not correlate to the amount of radon in water. Both the air and the water must be tested separately!) If your water comes from a public water supply that uses ground water, call your water supplier. If high radon levels are found and the home has a private well, call the Safe Drinking Water Hotline at 1 800-426-4791 for information on testing your water. *If the radon test is part of a real estate transaction, the result of two short-term tests can be used in deciding whether to mitigate. For more information, see EPA’s “Home Buyer’s and Seller’s Guide to Radon“. June 2003 revision concerning radon risk information from the US EPA. The following is an updated chart of the lifetime risk of lung cancer death per person from radon exposure in homes (excerpted from the updated radon risk assessment). EPA’s proposal for public health standards for radon in drinking water provided two options to States and community water systems for reducing radon health risks in both drinking water and indoor air quality, a unique multimedia framework authorized in the 1996 Amendments to the Safewater Drinking Water Act (SDWA). Information about the proposed rule and information relating to the status of the rule can be found at: www.epa.gov/safewater/radon.html. A report released September 15, 1998, by the National Academy of Sciences is the most comprehensive accumulation of scientific data on the public health risks of radon in drinking water. The report was required by the Safe Drinking Water Act (SDWA). The NAS report (BEIR VI) issued earlier this year confirmed that radon is a serious public health threat. This report goes on to refine the risks of radon in drinking water and confirms that there are drinking water related cancer deaths, primarily due to lung cancer. The report, in general, confirms earlier EPA scientific conclusions and analyses for drinking water, and presents no major changes to EPA’s 1994 risk assessment. For general information on radon in drinking water, contact the Safe Drinking Water Hotline, at (800) 426-4791. The Safe Drinking Water Hotline is open Monday through Friday, excluding Federal holidays, from 9:00 a.m. to 5:30 p.m. Eastern Time.